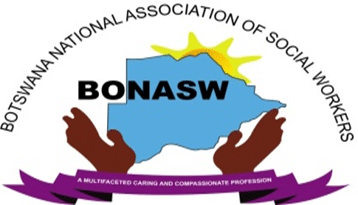 BONASW is an association for Social Workers in Botswana. It brings together Social Workers practicing in different sectors including academia, local authority (majority), civil society, hospital settings, few from security (the army, prisons and police services) unemployed social workers and students. The main aim is to promote the visibility of the profession as well as ensure the voice of social work is found in key policy and developmental issues in Botswana. The annual activities include an AGM, leadership forum and commemoration of the World Social Work Day. Members are supported to secure jobs, apply for further studies, case management. Further benefits include opportunities for joint research, networking, collective advocacy and the advancement of the profession in Botswana. Even though there are not as many members as there are … subscribing members who pay around $5/month ($60/annum).